My computer has been running slow. Also I have processes running I am unsure if they are even needed. I went through each one on Google, but people say some are needed, some are not. Other sites say not to stop them at all. I just feel like too many might be running. Lastly worried about Registry problems but no idea how to correct that. I read a lot of bad things about altering it. Such as the Malwarebytes log shows some. Here are the logs needed, and after running the first scan with SuperAntiSpyware, I removed the threats it will show. HKEY_LOCAL_MACHINE\SOFTWARE\Clients\StartMenuInternet\FIREFOX.EXE\shell\open\command\(default) (Hijack.StartMenuInternet) -> Bad: ("C:\Users\Lightning\AppData\Local\ocf.exe" -a "C:\Program Files (x86)\Mozilla Firefox\firefox.exe") Good: (firefox.exe) -> No action taken. HKEY_LOCAL_MACHINE\SOFTWARE\Clients\StartMenuInternet\FIREFOX.EXE\shell\safemode\command\(default) (Hijack.StartMenuInternet) -> Bad: ("C:\Users\Lightning\AppData\Local\ocf.exe" -a "C:\Program Files (x86)\Mozilla Firefox\firefox.exe" -safe-mode) Good: (firefox.exe -safe-mode) -> No action taken. HKEY_LOCAL_MACHINE\SOFTWARE\Clients\StartMenuInternet\IEXPLORE.EXE\shell\open\command\(default) (Hijack.StartMenuInternet) -> Bad: ("C:\Users\Lightning\AppData\Local\ocf.exe" -a "C:\Program Files (x86)\Internet Explorer\iexplore.exe") Good: (iexplore.exe) -> No action taken. You need to remove any object or infected file that malwarebytes finds!!! If it says that MBAM needs to close to update it... let it close and then restart. Then click the Scan button. Post the report that comes up after the scan. Hi Net_Surfer, nice to meet you. I am running MBAM again and it looks like just the registry errors you highlighted from my original post are coming up. It is okay to delete those as it asks? After that I will go on to Step 2. 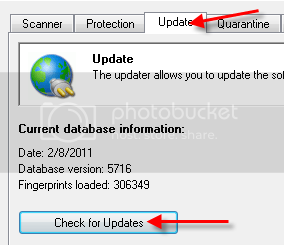 Yes......please ensure that you click on the boxes of the infected objects and remove them...Follow my instructions on the malwarebytes step. HKEY_LOCAL_MACHINE\SOFTWARE\Clients\StartMenuInternet\FIREFOX.EXE\shell\open\command\(default) (Hijack.StartMenuInternet) -> Bad: ("C:\Users\Lightning\AppData\Local\ocf.exe" -a "C:\Program Files (x86)\Mozilla Firefox\firefox.exe") Good: (firefox.exe) -> Quarantined and deleted successfully. HKEY_LOCAL_MACHINE\SOFTWARE\Clients\StartMenuInternet\FIREFOX.EXE\shell\safemode\command\(default) (Hijack.StartMenuInternet) -> Bad: ("C:\Users\Lightning\AppData\Local\ocf.exe" -a "C:\Program Files (x86)\Mozilla Firefox\firefox.exe" -safe-mode) Good: (firefox.exe -safe-mode) -> Quarantined and deleted successfully. HKEY_LOCAL_MACHINE\SOFTWARE\Clients\StartMenuInternet\IEXPLORE.EXE\shell\open\command\(default) (Hijack.StartMenuInternet) -> Bad: ("C:\Users\Lightning\AppData\Local\ocf.exe" -a "C:\Program Files (x86)\Internet Explorer\iexplore.exe") Good: (iexplore.exe) -> Quarantined and deleted successfully. I selected remove and removed them though. this was before doing that. They are in the quarantine tab now. Should I delete them further or just leave them there? After we run all of the fixing tools I will post instructions in how to get rid of all the bad files we quarantined......for now just follow my steps. I may not reply back to you in the next few hours since I will be busy doing some work in my computer.....Just be patience and execute all of my instructions step by step. for microsoft essentials just ignore the prompt of combofix and proceed. How is your computer acting now?